London - Thierry Henry has rejoined Arsenal on a short-term loan deal from the New York Red Bulls, the English Premiership club confirmed on Friday. The 34-year-old Frenchman has been training with the Londoners since the close of the MLS season in November and recently had a statue of him unveiled at the Emirates Stadium to underline his legendary status at the club. Henry made 370 appearances for Arsenal during his previous stint with the Premier League giants and is the club's all-time leading goalscorer with 226 goals. Arsenal boss Arsene Wenger welcomed the move, saying he expected the striker to be a "massive boost" on and off the pitch. "I am very happy. It was my desire and Thierry’s desire. 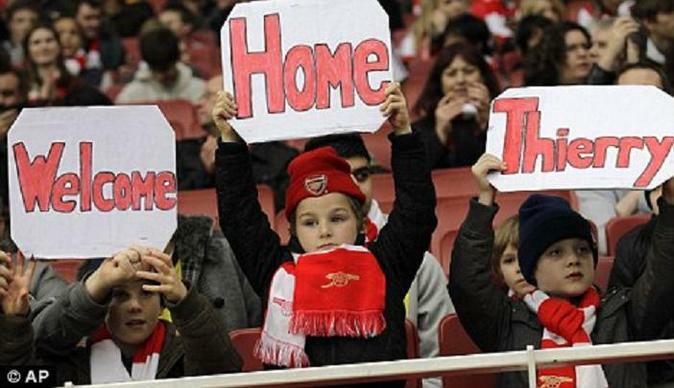 We will have Thierry for January and in February. Then he will go back to the United States," he said. "I am sure during these two months he will be a massive asset to the team in the dressing room and on the pitch. He can be relaxed, not under too much pressure and be a tremendous help to the team." 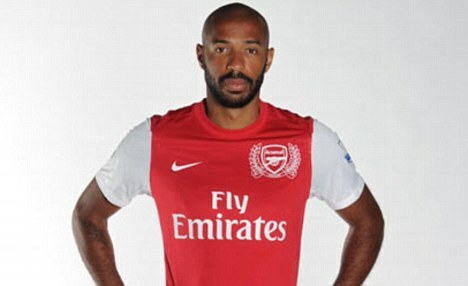 Henry joined Arsenal from Juventus in 1999, developing as one of the world's best attackers under the guidance of Wenger. He was a member of the club's double-winning team in 2002 and part of the legendary "Invincibles" side in 2004 which went a whole season unbeaten. He left for Barcelona in 2007 before heading to Major League Soccer in 2010.